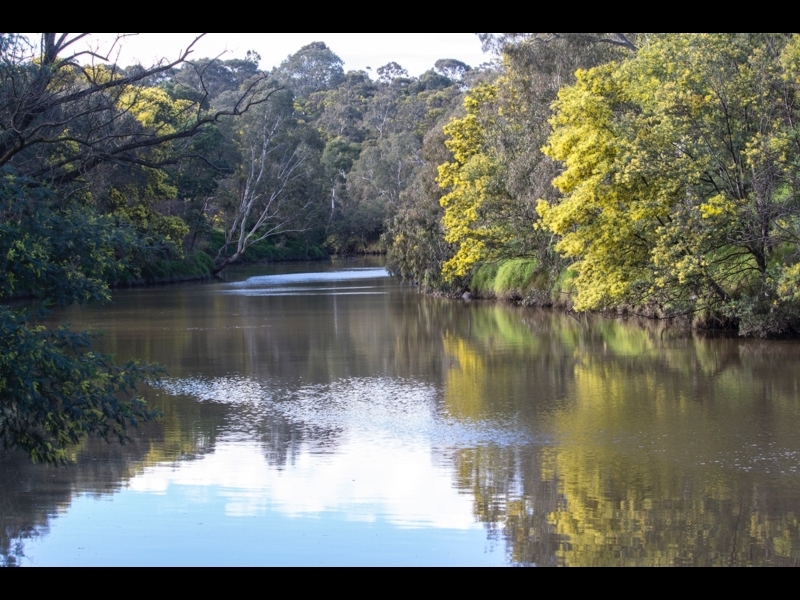 Experience this urban ecological walk and imagine the Yarra’s past and it’s future… To understand more about work being undertaken to protect the Yarra visit the link below. 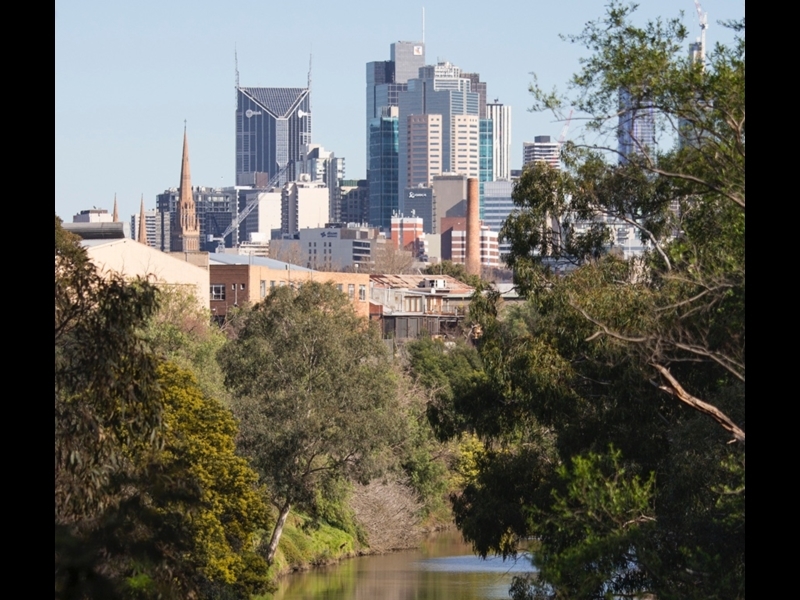 This walk follows the Yarra River as it winds its way through the inner suburbs, and flows with stories of nature, Aboriginal life, early European settlement, and the rebirth of old industrial areas into residential and commercial centres. Dights Falls, within the City of Yarra, has a carpark and toilets and is a five minute walk from Victoria Park Station. 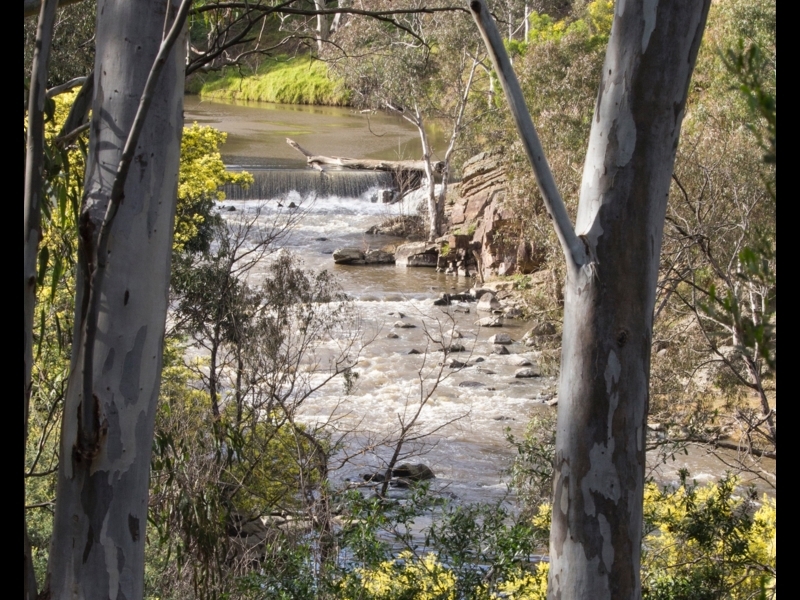 Begin the walk at Dights Falls, a natural crossing place used by the Traditional Owners of the area, the Wurundjeri. The nearby junction of the Merri Creek and Yarra River was an important meeting place for trade, marriage, dispute resolution and other ceremonies. 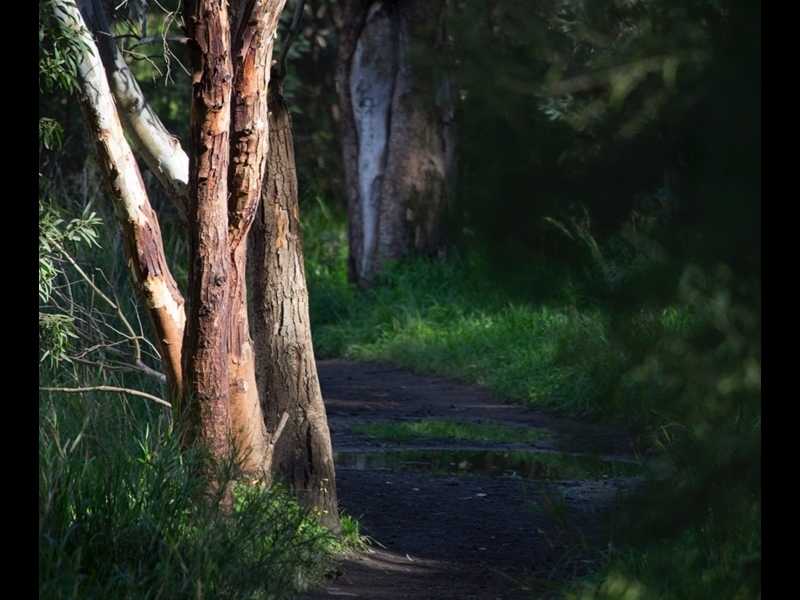 The area remains an important spiritual place for Wurundjeri people. In 1840 an artificial weir was built across the Yarra to provide water for the 'Ceres' Flour Mill. The Falls were named after John Dight, the Mill owner. There is impressive geology on show: a layer cake of fine-grained sediments containing ancient fossil marine invertebrates. 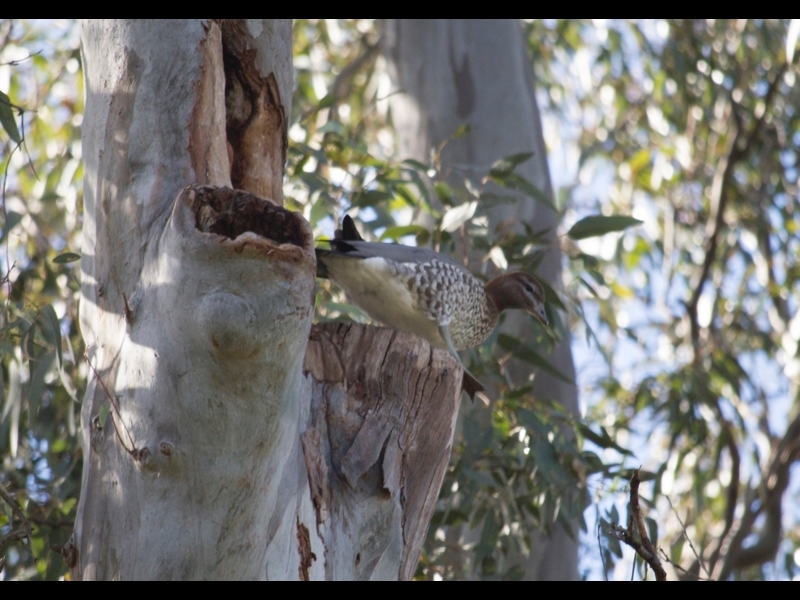 There are plenty of flora and fauna about, look out for herons and currawongs. 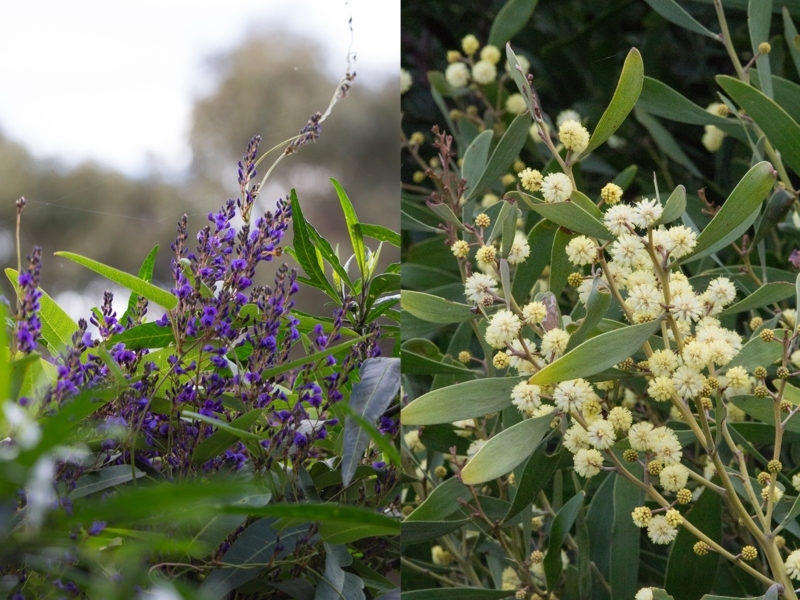 Eucalypt and Wattle dominate the landscape, with Hardenbergia and Kangaroo Apple in the shrubbery. The infrastructure is both old and new around the Falls, including the site of the old Aboriginal school and a new fishway that allows fish to swim past the weir. An older infrastructure example is the millrace from the original Dights Flour Mill. Moving downstream you pass many renovated old buildings; commercial and residential. The path is well maintained and used frequently by walkers, joggers and cyclists. Below the Johnson St Bridge you move through the Abbotsford Convent and Collingwood Children’s Farm. The former Convent is now occupied by arts organisations and cafes. Toilets can be found here. Coming to Gipps St Bridge, you have to climb the steps – sometimes referred to as the ‘missing link’ on the Main Yarra Trail - to cross the river to enter Yarra Bend Park, within the City of Boroondara. Works are being planned to improve access here with the inclusion of a ramp. Close by is an excellent playground with picnic tables and water available. At this point the path splits. 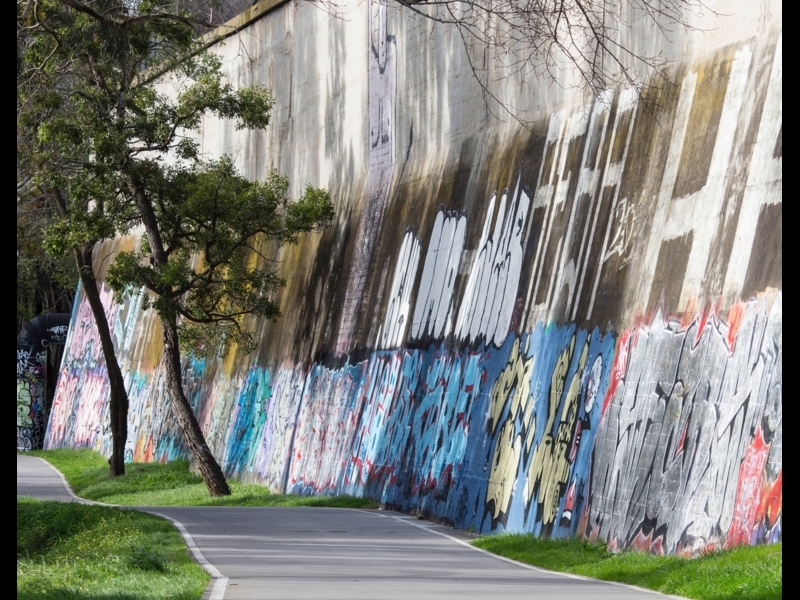 You can take the low road, which is unpaved and rocky in places, along the riverbank or the upper path which is paved and runs along the Yarra Boulevard. Cross the river again at the Walmer St Bridge (it is quite narrow - beware of fast cyclists), where you’ll see several new development sites. 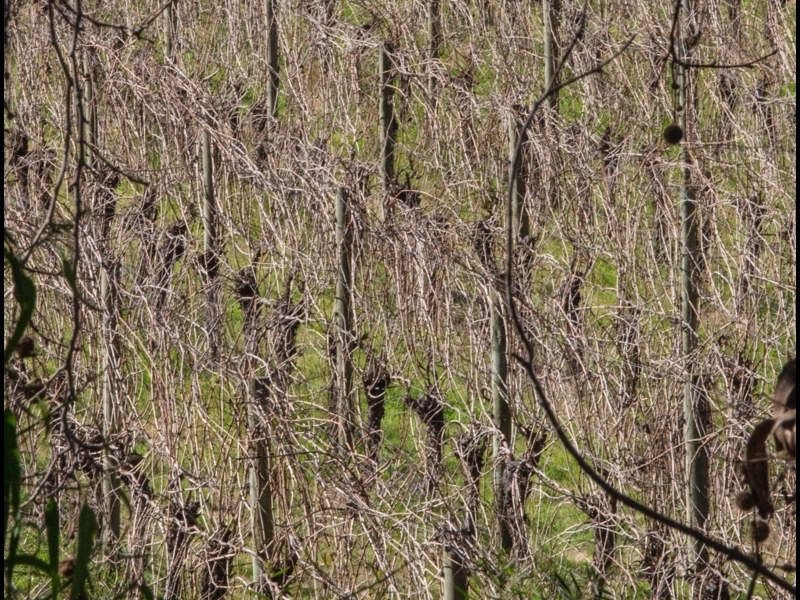 To the east of the bridge is another example of urban agriculture: the Studley Park Vineyard. There are several entrances to the river path, you could leave the river here for Victoria St, or continue on. 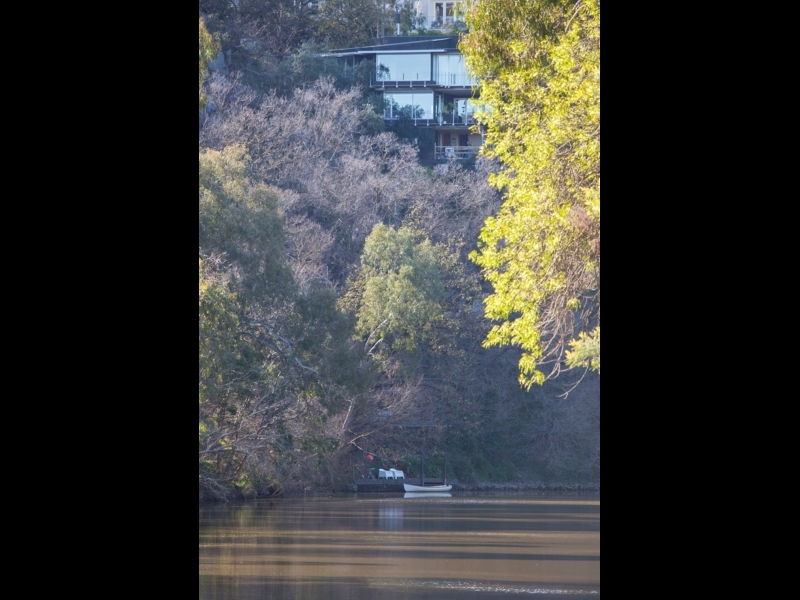 On this stretch, the east bank of the river is largely private property with some grand residences on the escarpment. Look for the Scar Tree that has been preserved in Yarra Bank Reserve. 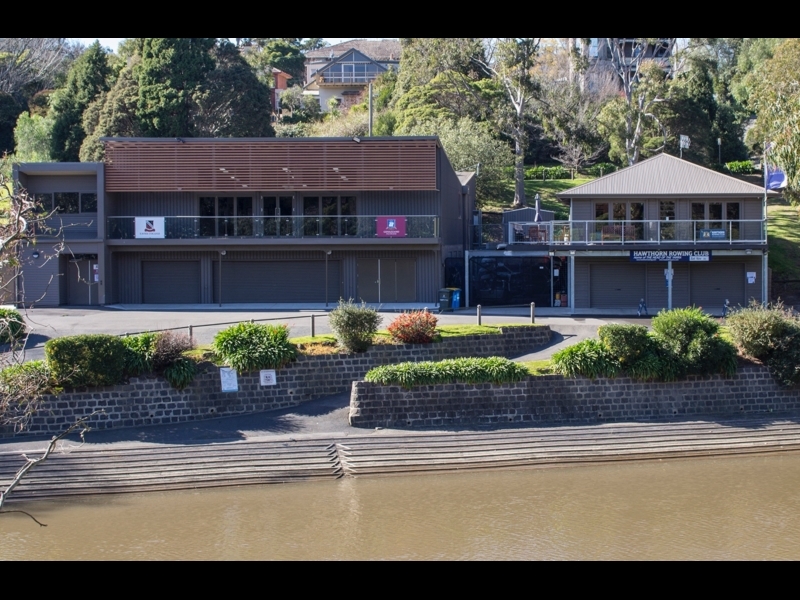 Coming to Bridge Rd you find the Hawthorn Rowing Club (the oldest in Victoria). The path continues on to Melbourne's CBD. The weir and the natural rock bar at Dights Falls a significant site for both Aboriginal and post-settlement history. Hardenbergia Violacea and Acacia Melanoxylon, also known as Native Sarsparilla and Lightwood. 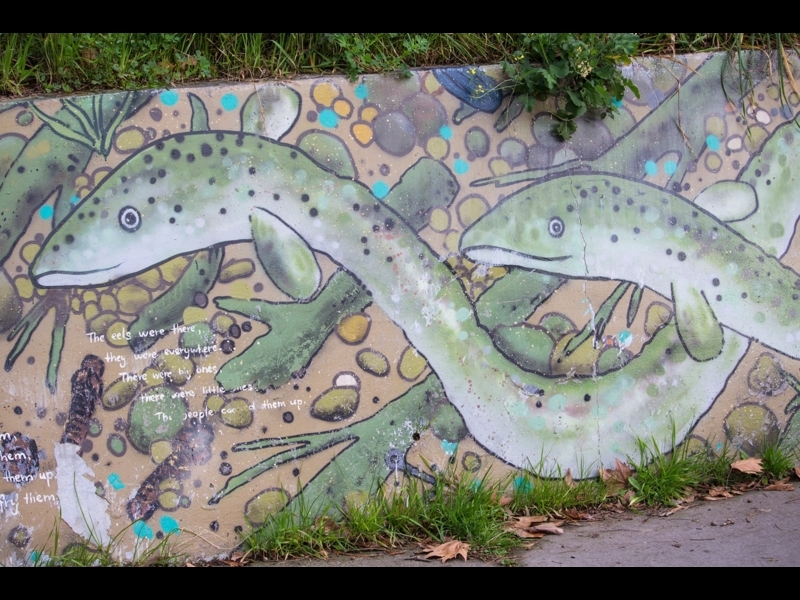 This mural is on the wall along the path and shows many aspects of Wurundjeri Culture. One of the many apartments and warehouse renovations along the river. Some are sympathetic to the river and its surrounds, some not so much. 5. 1930s concrete retaining wall. Rockclimbers have ‘informally’ fixed rocks to the wall so it can be used for practice – although it’s not the safest spot. 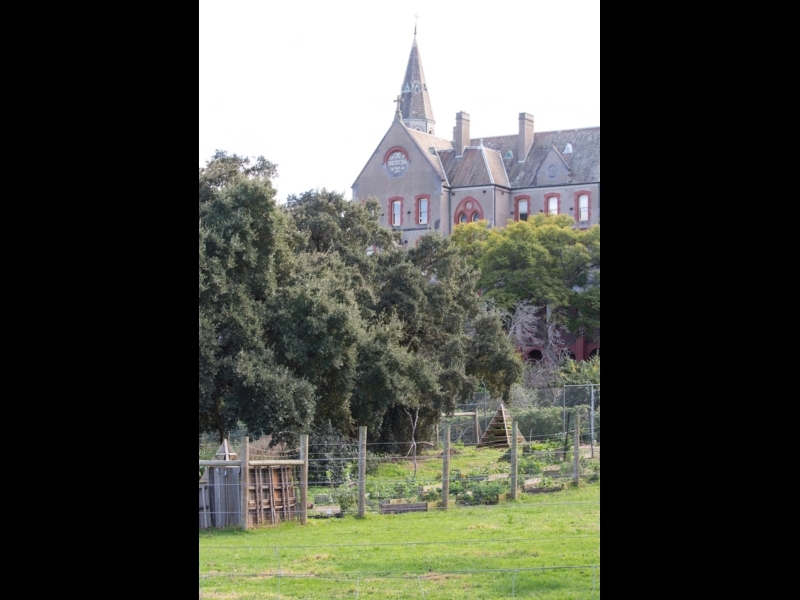 A unique urban agriculture experience. The land here has been used for farming since 1838. 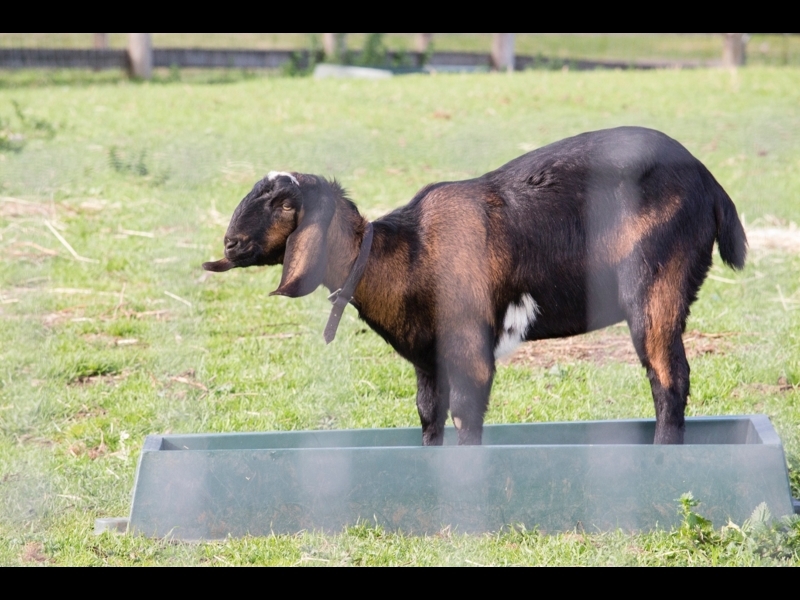 It was used to feed the convent, and continues today as the Collingwood Children’s Farm. Now home to many arts and cultural organisations, cafes restaurants and markets, open to the public. The Yarra River is the real star of this walk. After crossing the river, The ‘low road’ through Yarra Bend Park takes you along the riverbank on an unpaved track. The upper path is paved and runs along the Yarra Boulevard. On the low road you have the opportunity of meeting some wildlife. In this case a duck up a tree! Looking back towards the city from Yarra Bend Park. Alongside the Walmer St Bridge is the Studley Park Vineyard. They specialise in Cabernet and Rose styles. 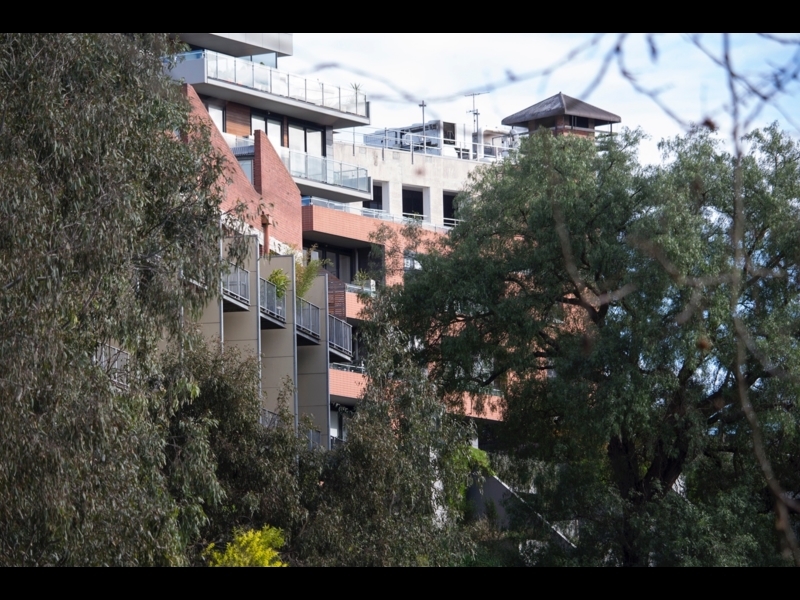 The east-bank in Hawthorn is almost completely private property and the escarpment has plenty of grand designs on view. 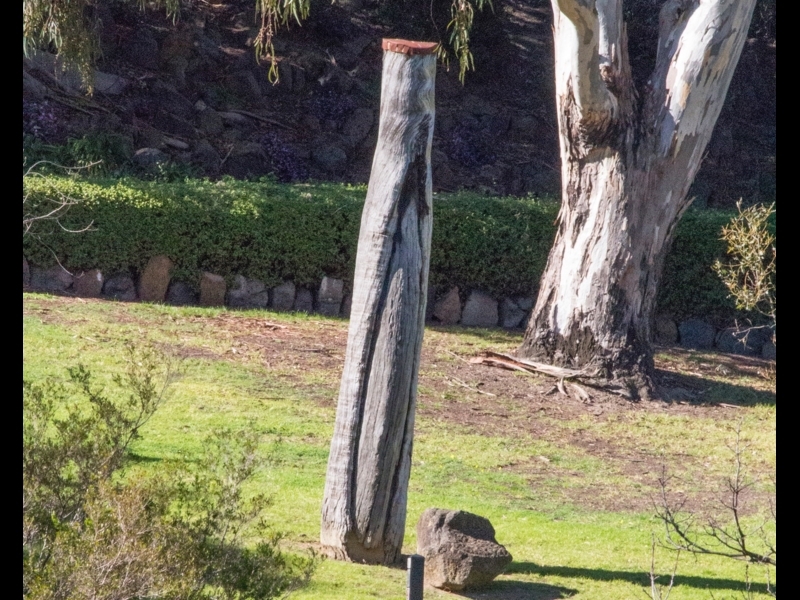 Aboriginal people made canoes from the bark of Eucalyptus trees. The trees healed around the resulting scar. These trees are of great cultural significance. This example is on the eastern bank. Just past the Hawthorn Bridge to the east you’ll see the oldest rowing club on the river. It’s also used by several private schools.